Since I've been telling you about the things we did while visiting San Diego and where we ate, I figured I might as well tell you about where we laid our heads. 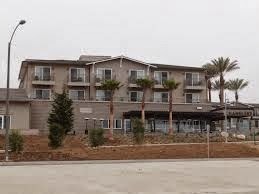 We stayed at the Hilton Oceanfront Resort & Spa in Carlsbad. Driving by on the main rode, you may not notice it or appreciate it, but once inside you realize how great this resort is. Everything here is pretty much brand new. The lobby is modern and the space is very inviting. There's a restaurant, Chandler's, in the lobby which we never had a chance to eat at, but from what I've heard, the food is very good. The rooms are also new and simple in design, but with nice details like a fridge and microwave (a big plus when you are traveling with kids). 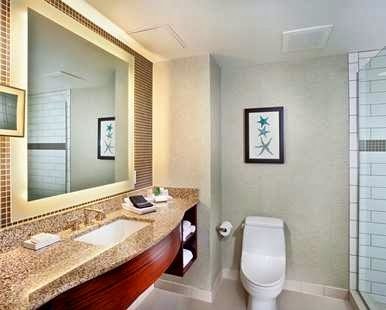 The beds are ridiculously comfortable, and the bathrooms don't have tubs, but huge standing showers with glass doors. It feels clean and very modern- all the things I look for in a hotel. The other thing I loved was our terrace off of our room which overlooked the beautiful pool area and the Pacific Ocean. Not all rooms come with this feature or this view, but when visiting California, I want to wake up facing the ocean! 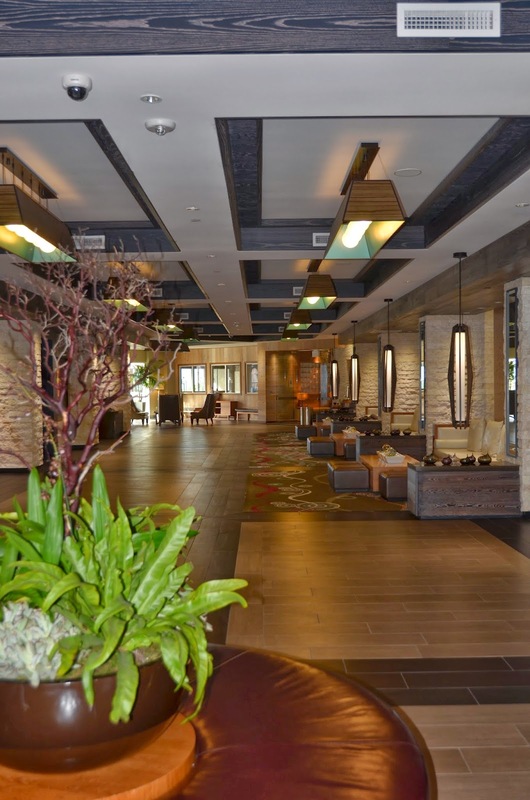 Some of their other great amenities include a fitness room, complimentary coffee in the morning, the pool which is heated to 85* (a perk when visiting in February), a hot tub by the pool, fire pits, and a free shuttle to anywhere within 10 miles of the resort. 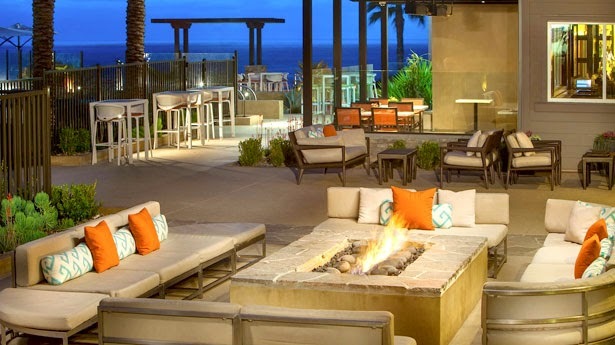 If you are looking for a nice getaway at not a crazy expensive price point, the Hilton Carlsbad Oceanfront Resort & Spa is the right choice! There isn't too much going on in Carlsbad, but nothing is too far a drive away, and if you are going to visit Legoland, well it's pretty much in this resorts backyard!